Looking for homemade Fathers day gifts to make? 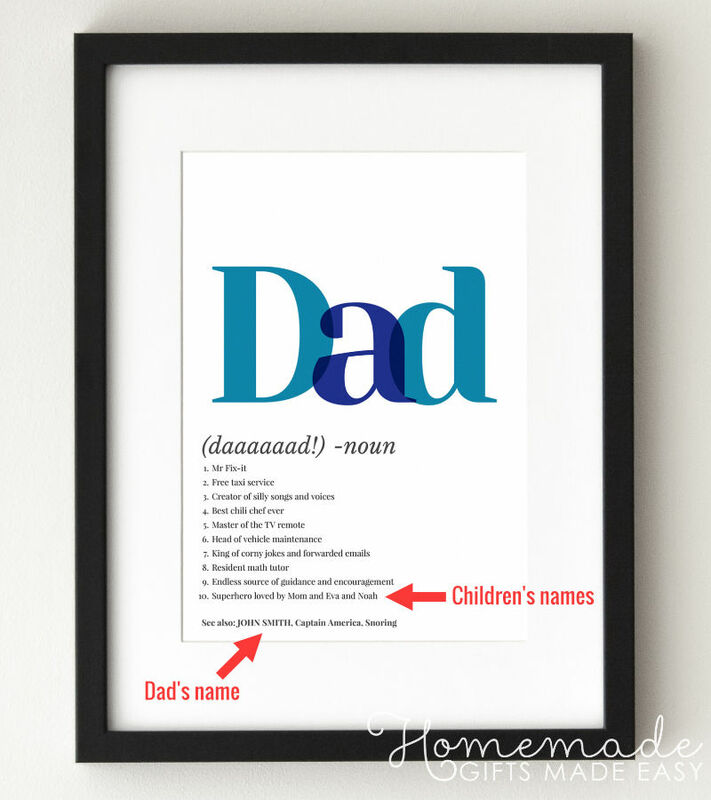 Check out the easy craft ideas on this page and find the perfect gift for your Dad! 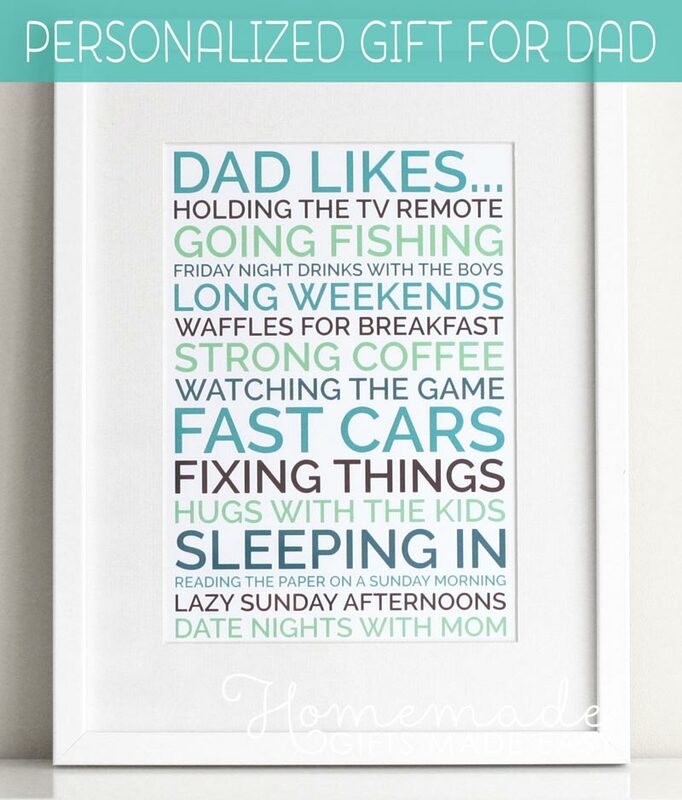 Use our poster generator to make a personalized poster of all the things your dad likes. What does your dad mean to you? 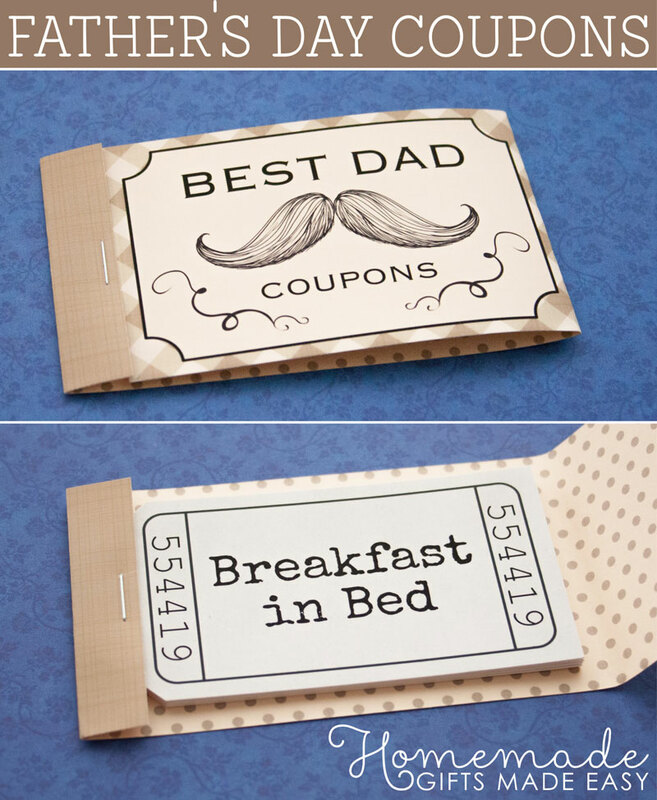 Let him know with this fun and quirky homemade fathers day gift. Easy step by step tutorial for making a cool 2 color paracord bracelet (survival bracelet). These are very popular with outdoor-types, and are really practical as well as looking great. Make one in your Dad's favorite sports team colors! Make your Dad this neat paracord lanyard and he'll think of you every time he reaches for his keys! I promise you'll be able to make this even if you've never touched a rope before. I've included step by step instructions for everything you need to know. 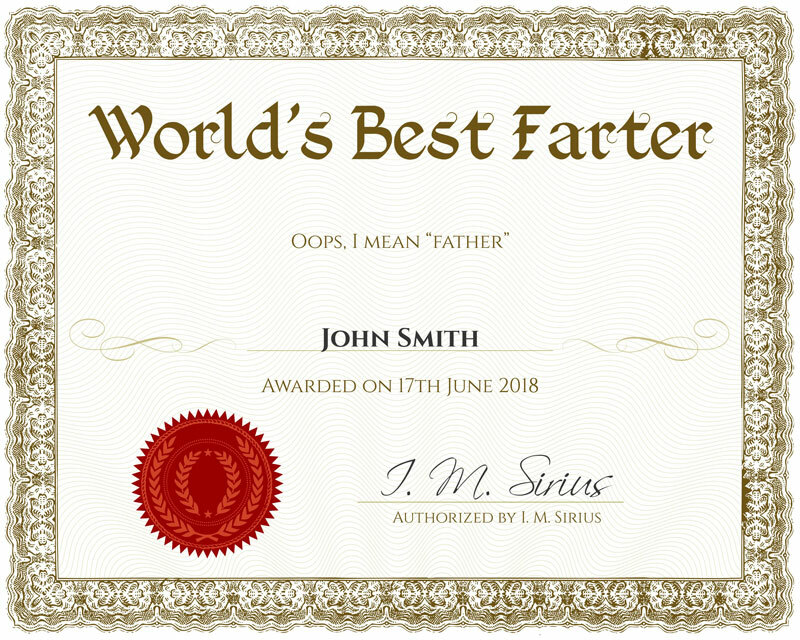 Make your own funny father's day certificate for your Dad with our free certificate template. 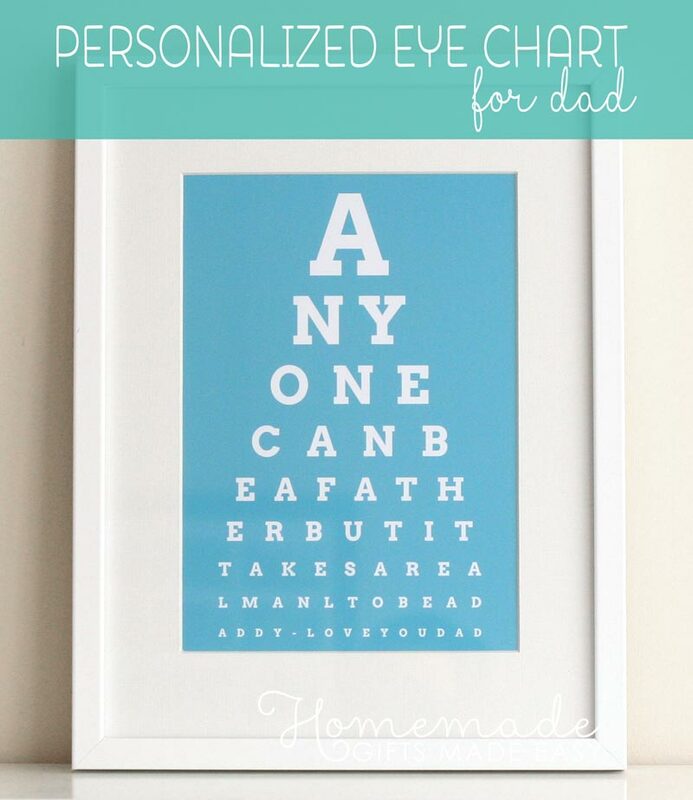 Personalize, download, and print, for an instant homemade fathers day gift that he'll love! 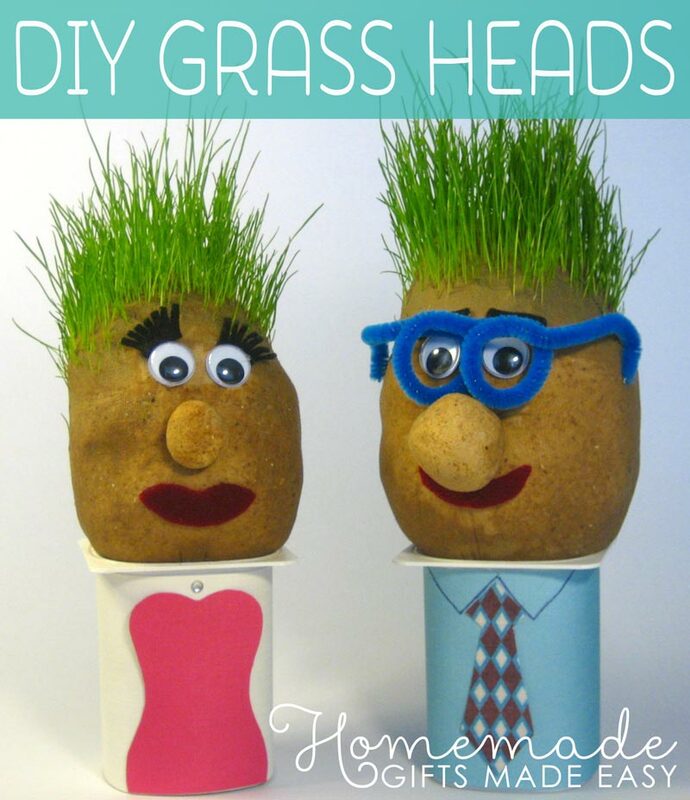 Make a grass head for your Dad to keep on his desk. You can make your whole family out of grass heads to remind your Dad how special you all are! Very easy to make, and starts growing hair in just a week. 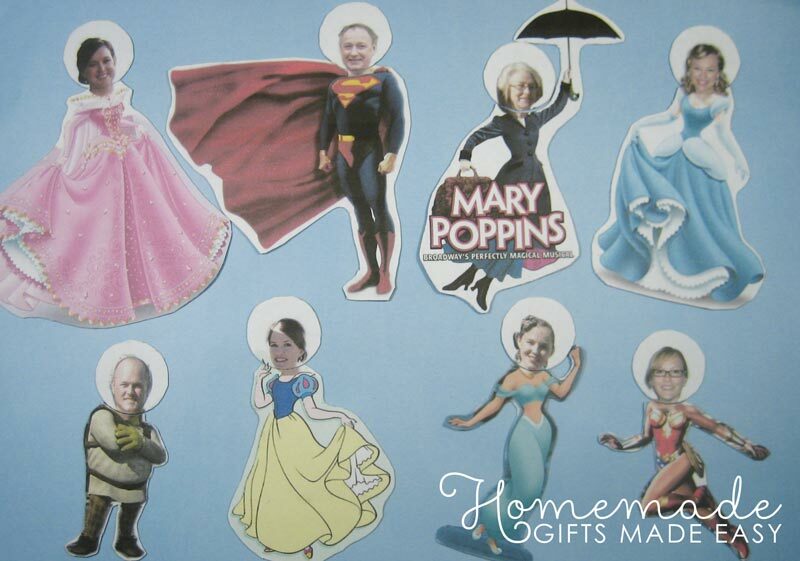 Easy step-by-step instructions for how to make personalized fridge magnets with mix-n-match body parts. The possibilities with this homemade father's day gift are endless! All you need to do is find some silly photos of your Dad, yourself, your family, characters from your favourite movie, comic series, TV program, etc. Follow these super easy step-by-step instructions to make a fun shirt-card for your Dad. Download one of my free printable Fathers Day cards in high quality PDF format. 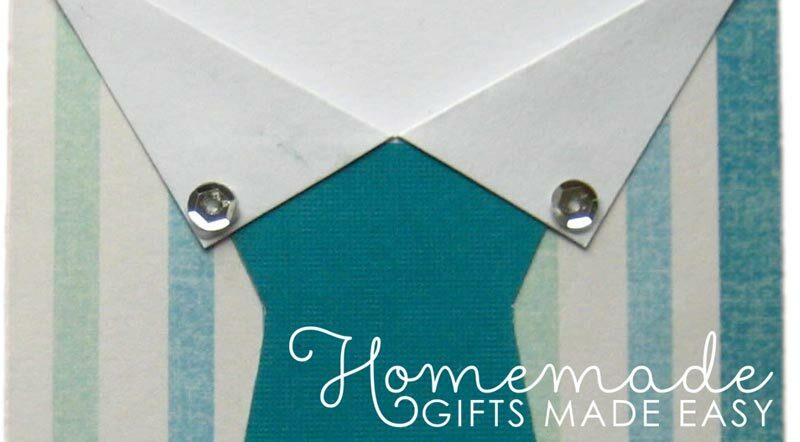 Just print, trim, and fold to make your card! Here's a sweet homemade Father's Day gift to make for your dad thanks to Brooks from Georgia for sharing her idea! In your dad's travel coffee mug, briefcase, or something else he's bund to take with him for the day, put in small pieces of paper each with one thing written on it that you love about him or love doing with him, e.g. "Anyone can be a father but it takes a real man to be a daddy"